Viknesh Vijayenthiran July 14, 2016 Comment Now! 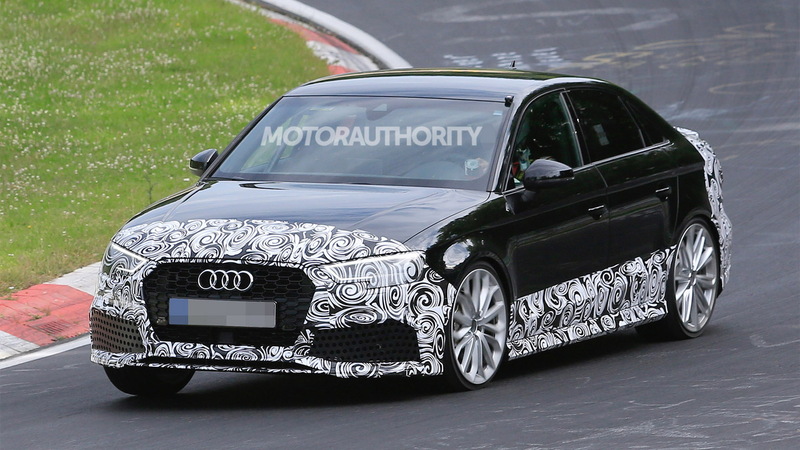 Audi’s RS 3 has been off limits for the United States for a long time, but that’s set to change with the arrival of a new sedan variant on these shores in approximately one year’s time. Audi has already shown the car to its dealers, and as of this week the German automaker has been running prototypes at the Nürburgring. One of them is featured in this latest video from Automotive Mike. What’s immediately clear is that the car sounds very different to the S3 sedan. That’s because the S3 only has a 4-cylinder engine, while the RS 3 packs a 5-cylinder lump under its hood. The engine is a turbocharged 2.5-liter 5-cylinder whose first application is in the new TT RS where it rates in at 400 horsepower. A similar figure is expected for the RS 3 to give the car an edge over its rivals, namely Mercedes-AMG’s 375-hp CLA45. Along with the potent engine, the RS 3 will also benefit from all-wheel drive, a 7-speed dual-clutch transmission and track-honed suspension. 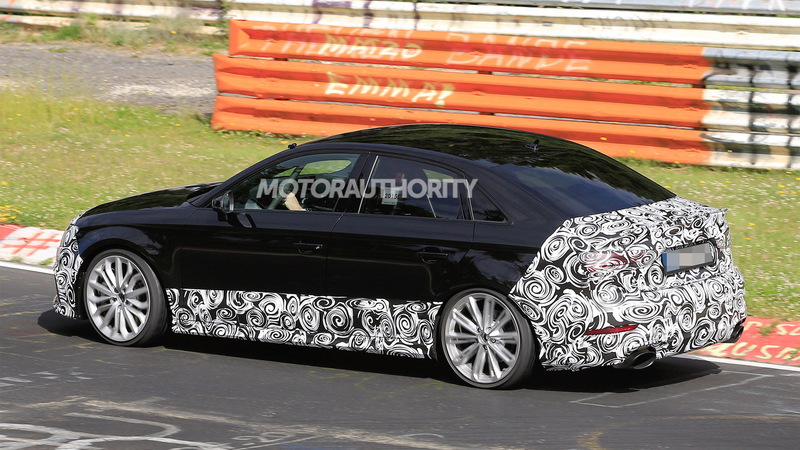 An aggressive body kit plus uprated wheels, tires and brakes will also feature. Look for a debut early next year. 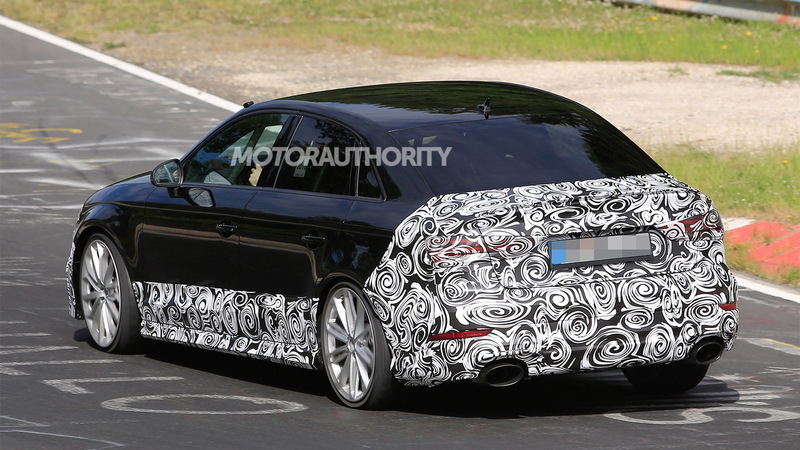 Unfortunately the U.S. is expected to only receive this RS 3 sedan and not the RS 3 Sportback sold overseas.